The central premise of the dossier concocted by Christopher Steele and funded by Democrat Hillary Clinton’s presidential campaign was that Donald Trump counsel Michael Cohen traveled to Prague in August 2016 to arrange for collusion between the Trump campaign and Russian intelligence. There, the dossier tells us, Cohen met with top Russian intelligence operatives and planned the whole thing. It says he even arranged for the United States to provide help to the two operatives who it fingered — also incorrectly — as the key men who hacked Clinton’s e-mails. Now it turns out that Cohen never went to Prague at all. The key charge in the dossier was total fiction. In researching our June 2017 book “Rogue Spooks: The Intelligence War on Donald Trump” (the first of many books that have come out since on this now-popular topic), my wife, Eileen McGann, twice interviewed Cohen for a total of three or four hours by telephone asking about his alleged trip to Prague. Cohen told her emphatically the same thing he told the House Committee — that he had never been to Prague. He recounted how he was amazed to hear in the media the allegation that he had been to the Czech Republic capital. He told Eileen how he called “Mr. Trump” as soon as he heard the charge to tell him it was bogus. Cohen related how he swore there was none and told Eileen that he offered to show Trump his passport. The president-elect asked him to come over to Trump Tower right away. Cohen reported that as he entered Trump’s office he found a meeting in progress that included Steve Bannon, Kellyanne Conway, Reince Priebus, Jared Kushner and others. Cohen showed his passport as the group passed it around, each agreeing, in turn, that he had never been to Prague. And so, Cohen’s testimony confirms what readers of “Rogue Spooks” have known for two years — that the bottom brick in the edifice of how Russia colluded with Trump is false. Now the whole narrative falls of its own weight. Yet, it was based on this dossier that Special Prosecutor Robert Mueller charged off to investigate collusion and wasted two years of our time and attention. And it was based, at least in large part, on this dossier that the FISA court allowed surveillance of Trump operative Carter Page and who-knows-who-else in the Trump campaign, transition team and government. Yet the media failed to give much coverage to Cohen’s earth-shaking news. 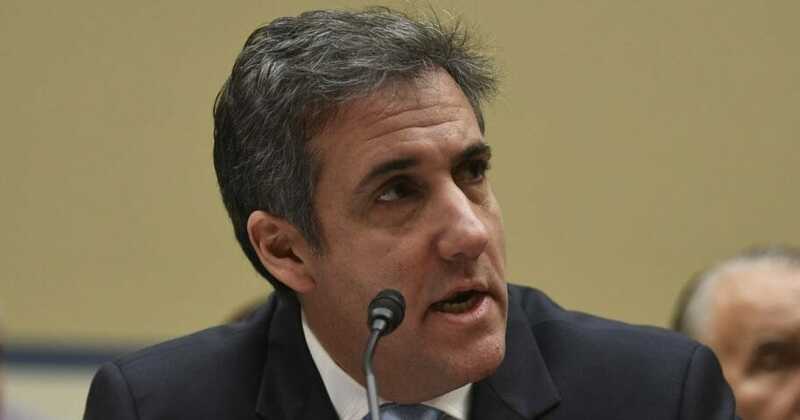 Instead, it gloried in covering new allegations about President Trump, bringing to them the same fevered coverage it once accorded Cohen’s trip to Prague. So it’s on to the next topic, the next charge, the next distraction, the next harassment of the president. No time to cover how the previous one turned out to be a hoax perpetrated by the Clinton campaign. We have to move on, the media says breathlessly, to the new accusations.